Following World War I and the dissolution of the Ottoman Empire, the UK received a mandate to govern much of the Middle East. 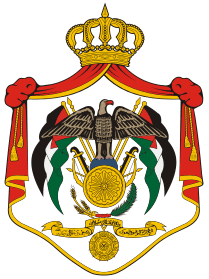 Britain separated out a semi-autonomous region of Transjordan from Palestine in the early 1920s, and the area gained its independence in 1946; it adopted the name of Jordan in 1950. The country’s long-time ruler was King HUSSEIN (1953-99). A pragmatic leader, he successfully navigated competing pressures from the major powers (US, USSR, and UK), various Arab states, Israel, and a large internal Palestinian population. Jordan lost the West Bank to Israel in the 1967 war and barely managed to defeat Palestinian rebels who attempted to overthrow the monarchy in 1970. King HUSSEIN in 1988 permanently relinquished Jordanian claims to the West Bank. In 1989, he reinstituted parliamentary elections and initiated a gradual political liberalization; political parties were legalized in 1992. In 1994, he signed a peace treaty with Israel. King ABDALLAH II, the son of King HUSSEIN, assumed the throne following his father’s death in February 1999. Since then, he has consolidated his power and undertaken an aggressive economic reform program. Jordan acceded to the World Trade Organization in 2000, and began to participate in the European Free Trade Association in 2001. In 2003, Jordan staunchly supported the Coalition ouster of SADDAM in Iraq and, following the outbreak of insurgent violence in Iraq, absorbed thousands of displaced Iraqis. Municipal elections were held in July 2007 under a system in which 20% of seats in all municipal councils were reserved by quota for women. Parliamentary elections were held in November 2010 and saw independent pro-government candidates win the vast majority of seats. Beginning in January 2011 in the wake of unrest in Tunisia and Egypt, several thousand Jordanians staged weekly demonstrations and marches in Amman and other cities throughout Jordan to protest government corruption, rising prices, rampant poverty, and high unemployment. In response, King Abdallah replaced his prime minister and formed a National Dialogue Commission with a reform mandate. Some opposition groups also called for sweeping political and constitutional reforms, particularly on a controversial election law.